Does Insurance Cover Facial Chemical Peels? The term chemical peel refers to a procedure where a chemical solution is spread over facial and body skin to restore skin by removing the outer, damaged layers. Although the process is primarily cosmetic, some medical conditions exist for undergoing the procedure. Insurance coverage differs by the policy, and it is important to understand your insurance policy before you consider this procedure. Chemical peels are used primarily for cosmetic reasons, including wrinkle smoothing, blemish removal, and reducing or eliminating uneven skin pigment. They may be used in acne control and scar reduction and removal. In addition to cosmetic purposes, chemical peels may be used to remove a layer of skin that may have pre-cancerous cells and growths. The American Society of Plastic Surgeons states that some clients mistakenly believe that a chemical peel can replace a facelift; however, chemical peels may be used in conjunction with a facelift procedure. Chemical peels are typically an elective procedure, for cosmetic purposes. Under those circumstances, they are not usually covered by medical insurance. 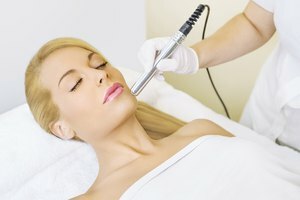 DocShop.com states that alternative loan financing may be available for cosmetic procedures. If a chemical peel is medically necessary, however, the peel, or a portion of the peel, may be covered by health insurance policies, as explained by the American Society of Plastic Surgeons. The elimination of pre-cancerous skin cells is one instance where health insurance may cover all or part of a chemical peel procedure. Check with your individual policy prior to any chemical procedure you undergo. Each policy will be different and may have different considerations. Discuss your policy with your physician in your initial consultation. The American Society of Plastic Surgeons provides a thorough explanation of chemical peel options. The gentlest chemicals used in the chemical peel process are alphahydroxy acids. These peels take less time to recover from, and they treat dry skin, acne, uneven skin pigment and some fine wrinkles. Tricholoroacetic acid treats the same skin conditions as alphahydroxy acids, but to a deeper, medium level. Phenol peels are the deepest, and treat much more than the previous two peels. They are used for pre-cancerous cells, damaged skin, deeper wrinkles, and highly scarred skin. Phenol is only used on the face. Before you consider a chemical peel, sit down with the plastic surgeon and outline what you expect from the procedure. Ask questions about the procedure, the risks and results, and the post-peel process. Also, don’t be afraid to ask questions about medical insurance coverage and any documentation or processes you must have to be covered. After the procedure, it is important to avoid sun exposure to the chemically peeled skin. The recovery time could be up to 21 days, according to the Houston Medical Center. Although they are normally safe, chemical peels pose some risks. The most common risks are temporary irritation, redness, sensitivity to the sun, throbbing skin, a crust forming over the skin, and stinging. Additional possible complications include infections, scars, and uneven, lightened skin pigment. There are serious risks for any patient with a history of heart problems. In some states, chemical peels do not have to be performed by a qualified, licensed physician, according to the American Society of Plastic Surgeons. Reduce your risk of any complications by choosing a qualified, experienced plastic surgeon, and discuss your medical history openly with him or her. In 2008, doctor's fees for chemical peels ranged from $150 to $6,000, with an average cost of $600 to $900, according to DocShop.com. Phenol treatments cost the most. In addition, patients could face fees for the use of an operating room; any hospital stay, which can be up to two days; and for anesthesia and an anesthesiologist, when necessary. 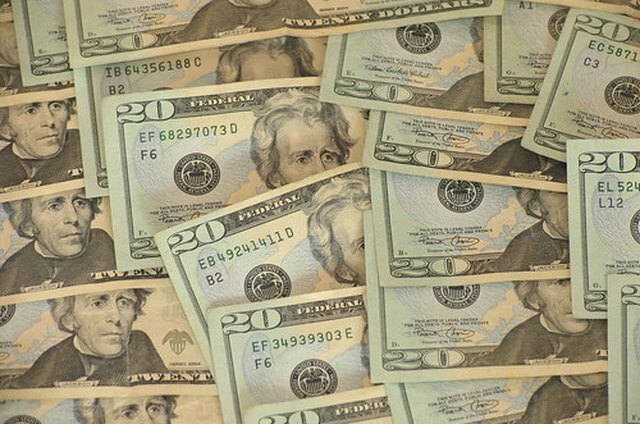 At the Houston Medical Center, fees in 2007 ranged from $700 to $1,000. Check with your plastic surgeon for the exact cost of a peel in your area.